So, how’s that whole Joey Bosa holdout going, Chargers? 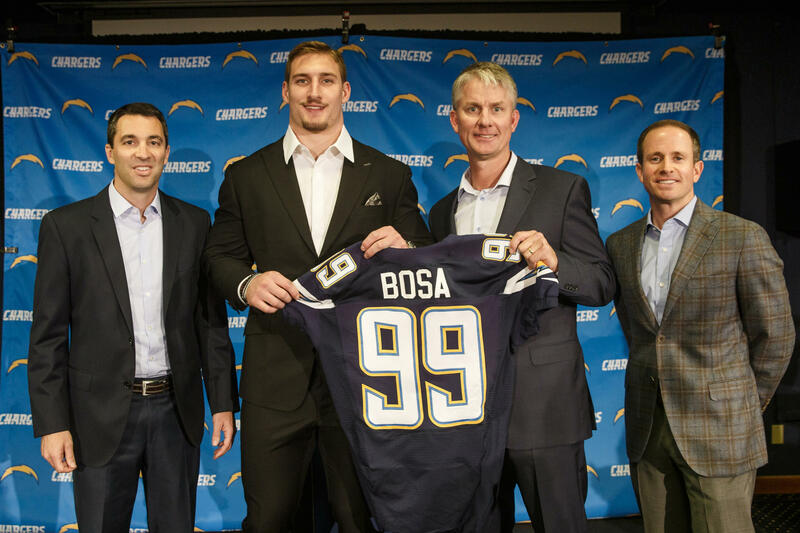 For the Chargers they might end up wasting a top draft pick due to Bosa’s contract demands. Bosa was concerned about when he was getting paid (deferral of guaranteed money being the most vocal difference between the parties) and the team stood pat through it all. Now the team either has to get a potentially defense changing defensive end to change his mind or eat the massive cost of the #3 pick. Nobody comes out of this particularly well, although the Chargers have the least to lose. Bosa isn’t getting what he wants the second time around, and certainly won’t get #3 money after a year of sitting on the shelf. The Chargers are showing free agents and players they don’t mess around, and are in essence causing Bosa’s agents to lose sleep over the whole ordeal. My money is on Bosa re-entering the draft. This is way past the point of coming together over this all. Why not call their bluff?